Thinking about joining a gym or fitness center? Check out the list below for a full rundown of locations and opportunities! Merrillville, Munster, Chesterton, LaPorte and Michigan City – State of Indiana employees receive 10 percent off their monthly dues and 50 percent off enrollment fees. Employee must show proof of employment with State of Indiana with a state-issued ID or pay stub. Offer is good for state employees and their immediate family members. Facilities are open 24/7 and offer personal and group training. 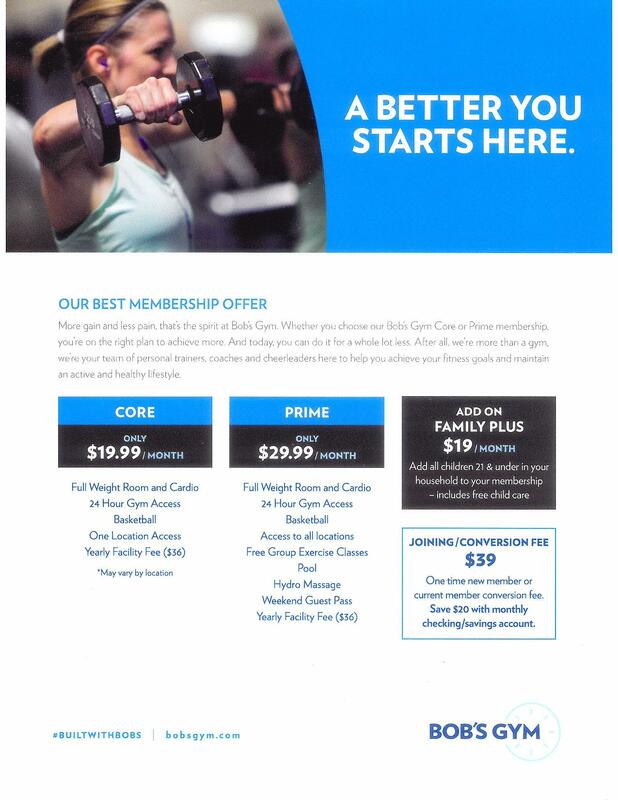 Franciscan Omni Health & Fitness offers an employee discount on their Corporate Membership at their Chesterton & Schererville locations, including the first week free. This entitles you to free Lifestyle I or Lifestyle II initiation fee and you get two clubs for the price of one with their reciprocal membership. To join the club, sign-up at one of the locations and talk to a membership coordinator about monthly pricing. Learn more about the clubs and membership options at www.FranciscanAlliance.org/Omni. For more information regarding Corporate Memberships, contact the Cass County Family YMCA Membership Director Stacy Lods at (574) 753-5141 or stacy.lods@casscountyymca.org. For more information, download the Cass County Family YMCA flyer. 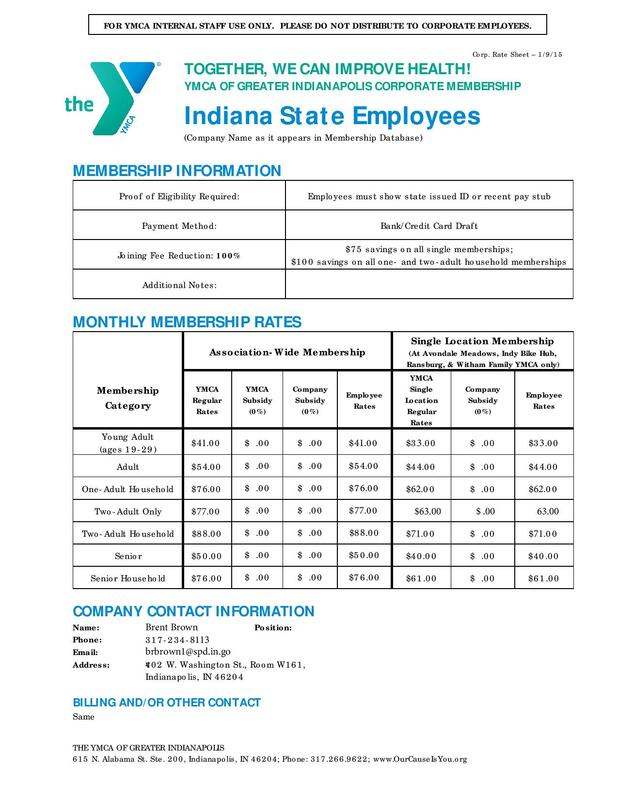 The YMCA of Vincennes would like to waive the joiner fee for State of Indiana Employees. Employees need to show either a State ID or recent paycheck stub as proof of employment. This offer is good for state employees and immediate family members. Immediate family members is defined as married couples and all IRS allowable dependents up to the age of 24.